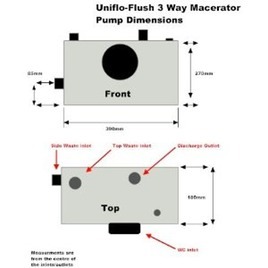 The Uniflo-Flush/3 benifits from the standard WC inlet and a further three waste inlets, one top and two low level left and right inlets. 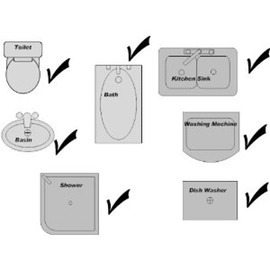 Uniflo-Flush/3 is suitable to be installed as a stand alone unit for just a WC or a combination of all three. 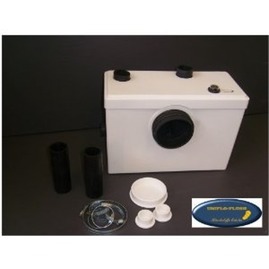 Low level waste inlets. 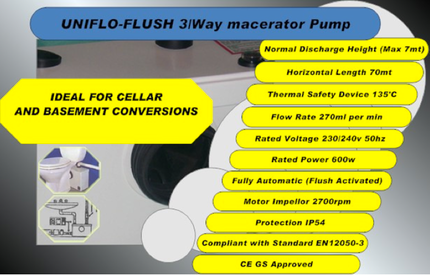 Uniflo-Flush/4 is also suitable for the extraction of waste water from a washing machine or kitchen sink.